A Coleg Cambria campus has joined forces with a top international agricultural machinery company to train future workers in land-based engineering. The college’s Llysfasi site has signed-up to a new partnership with Kubota, the Japanese tractor and heavy equipment manufacturer. Simon Parker, an Agricultural Engineering lecturer at the campus, says teaming-up with one of the giants of agricultural and construction equipment manufacturing will give their learners a head-start on entering a career in the sector. 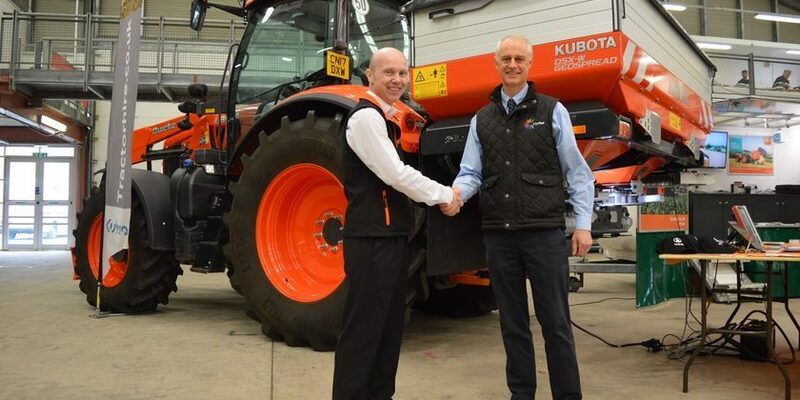 “We are very proud to be working with Kubota on this new venture, offering a fantastic training programme for their dealership technicians throughout the whole of the UK and Ireland,” said Mr Parker. “The three-year block release programme will allow the trainees to enjoy full time employment with their local Kubota dealership as well as formal specialist training during their time in college. Established in 1890, Kubota produces elite-level products from tractors, engines and vending machines to valves and pumps for water purification and sewage treatment. 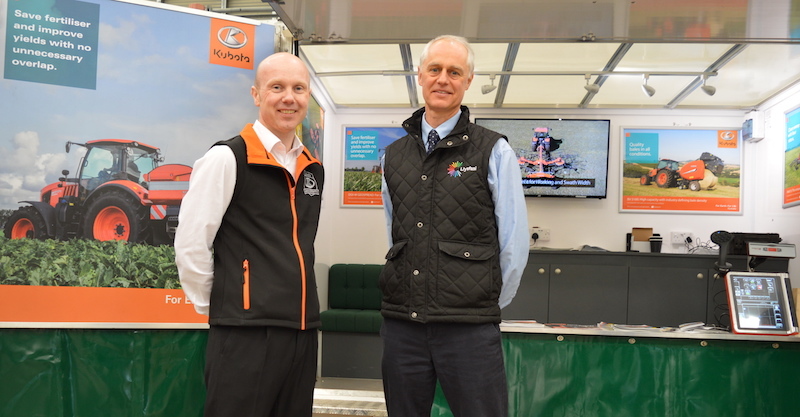 Michael Bywater, Group Training Manager of Kubota (UK) Limited, believes the union will have a major impact on the future of the industry. “We are extremely pleased to be working in partnership with Coleg Cambria Llysfasi,” he said. “This partnership will enable us to train the next generation of dealership technicians to the highest levels, with a view to providing the highest of standards of service to the end user. For more information on the new partnership, visit the Coleg Cambria website. Visit www.kubota-eu.com for more on Kubota- For Earth, For Life.